It's been a pretty hot topic in some circles here in Muscat the last few weeks, as the price of oil has dropped down to below $83 a barrel, which is a bit problematic for the Sultanate because it's 2014 budget was developed on the price of oil being $85 a barrel. But it's not quite that bad; the price of oil at $85 a barrel is of course an average price per barrel, and we're into the tail end of October where for the first time the price has dropped below $85 all year, with most of the year the price being comfortably between $85 and $105, so all things being equal, the Sultanate's 2014 budget would be fine, but things are not equal. Every year, the Government's budget runs at a deficit, basically hedging bets against their annual income and hoping they'll make more than they base their budget on. There are a number of areas in which the Government over-spends it's budget, but one of the repeat offenders is the subsidy for fuel in the Sultanate - that's petrol, diesel and gas. I think most of the Gas subsidy is spent on the power plants to produce electricity and desalinate water, which is a different issue. The Times of Oman ran a poll recently asking what people think if the price of fuel at the pump were to increase as the subsidy is reduced and a lot of comments I saw were along the lines of, it'll increase costs, it'll spur along inflation, one person even commented that there would be protests! I've been in Oman for 7 years and the price of fuel has never changed, yet the global oil price has risen and fallen (but not as much as it's risen). Oman is actually a pretty hard place to get oil out of the ground, with most of the "easy" oil having been extracted, and thus the harder to extract oil is what's mostly left, and that costs more to extract out of the ground. It seems incredibly likely that we'll start to see an increase in prices at the pumps, but how much do you think we'll see the price rise to in the first price increase? Do you think we'll see a significantly higher price for super grade fuel over regular? This is working on the assumption that if you want premium gas you should pay more for it? I wouldn't be surprised if that is what happens... perhaps regular fuel will have a modest increase, perhaps to 130bz a litre, and then super will jump more significantly... perhaps closer to 200bz a litre. As for diesel, thats a more delicate issue, as increasing that will directly increase the cost of shipping, and thus the prices you'll pay in the supermarket. One thing for sure though, people will have to rethink their monster engines that aren't fuel efficient if they drive a lot. I predict a boom for more fuel efficient vehicles being sold in the coming year! We'll see I guess. 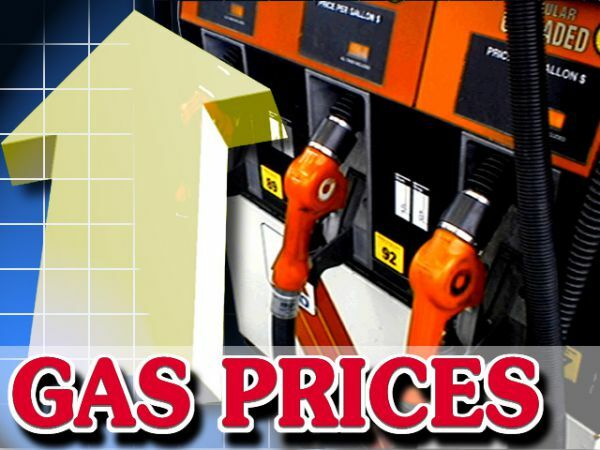 What do you think the price of fuel will be after the first price hike? i think there will be no increase in price. No idea what it will be but it should be cost price or even taxed. Every riyal spent on subsidizing the movement of an over sized car is equal to burning that riyal. If all those millions/billions would be spend on lasting things like infrastructure or education the country would benefit a lot more. Well the market value of petrol is about 250bz/l at the pump at present so that would be a good place to start. But the real big cost is in the hidden subsidy in very cheap gas for fertilizer/aluminium/etc plants which is massive. I don't think it was any coincidence that there was a massive article saying how terrific Sohar Aluminium is in the paper earlier this week!!! Man. Who gives a f###? This is one of the cheapest places on the planet to fill your car. Triple the price.. still don't care. Also.. there is an actual pending 'hot topic'. Will they consider raising the price right now to p everyone off before the other is resolved? Er.. 100% no. The guvment will no rise the brice of fool. No way. Omanis will no sept this. Omani beebil hab bambly and sallry is to small for bay more fool. Dubay same as Oman and there is money from guvment to help fool stay cheap.